LLC Blog Series: #1 What Exactly is an LLC, Anyway? First, a little bit of simplified history helps explain the context around LLC’s. I know. Bear with me. Before LLC’s emerged in the late 1990’s, businesses generally fell into two categories: corporations and “unincorporated entities” (either a sole proprietorship (if solo) or a general partnership). Corporations are taxed separately from their owners and are subject to relatively complex laws. For many small businesses, incorporating is not a good idea because corporations face higher operating costs and legal complexity. Unfortunately, neither sole proprietors nor general partners are protected from liabilities incurred by their business. So, if a sole proprietor’s business incurred debts, those debts were his as an individual, too. Or if the business got sued, the judgment would land on the business and on him as an individual. General partners are especially vulnerable because they are liable for almost any action taken by the other partners: Amanda might be a stand up, honest person but if she is in business with Judas, then she is personally liable for everything Judas does in the business’ name. A general partnership is a great way to lose your business and your home. 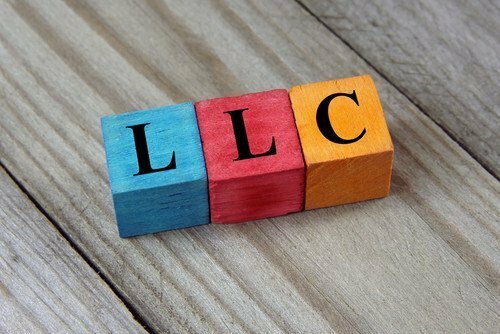 “LLC” stands for “limited liability company” – which perfectly describes what the LLC offers to business people. Your personal liability is limited by law and so long as you follow the law and don’t personally guarantee its debts, your LLC’s liabilities will not impact you personally. The LLC gives small business owners the protection from liability that corporations enjoy but without the complexity and added operating costs of corporate law. No wonder they are so popular. Technically, LLCs are not corporations, though many people think they are. Lawyers often inaccurately call LLCs “creatures of contract” because a contract known as an “operating agreement” governs the rights and responsibilities of LLC members. This is overly simplified and a little misleading because Virginia’s Limited Liability Company Act also determines the rights and obligations of LLC members – especially if an operating agreement is silent on an issue addressed in the Act or if no operating agreement exists. Also, member’s rights are shaped by principles of equity such as the expectation that LLC members deal with one another in good faith. A core principle of LLCs, however, is the maxim that individuals benefit from the freedom to contract. Because of this principle, LLCs are incredibly flexible business vehicles. The corollary of freedom to contract, however, is buyer beware: those who enter LLCs without thinking carefully about their contractual rights and responsibilities are sowing the seeds of future trouble. Thoughtful legal counsel, tailored to your situation, and an ironclad operating agreement are essential to getting it right.